It’s a bit hard to believe, but it’s been almost two years since Chris Sharma climbed La Dura Dura, that 5.15c in Spain first climbed by Adam Ondra. In the interim Sharma has been focusing his efforts elsewhere, but now…he’s back with a new 5.15 called El Bon Combat. The scene of the crime is once again in Spain, but because this is Spain this new route is not at Siurana or Santa Linya or Margalef or Oliana. No, Sharma’s new route is at an area less than an hour from Barcelona called Cova de Ocell. 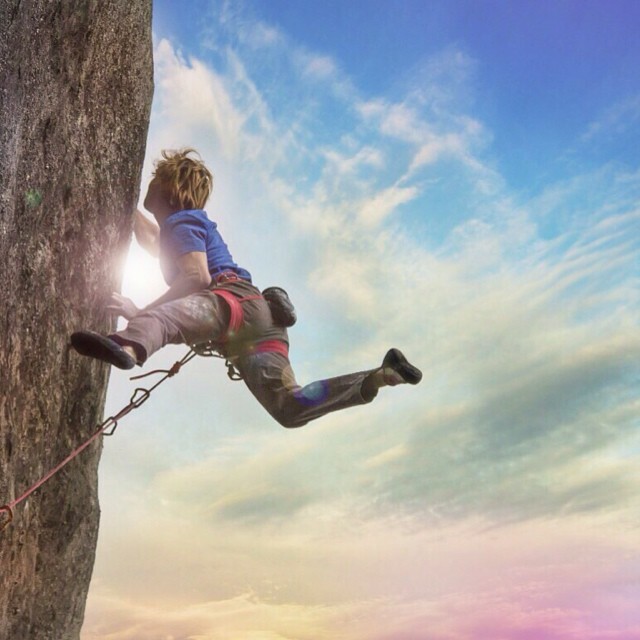 On Instagram he suggests the route to be roughly 5.15b/c, which incidentally is the hardest FA he has ever completed. This is also somewhere around the 7th 5.15b or harder he has established in Spain. @evolvusa just released my latest shoe, the Luchador. They've been getting the job done nicely (and hopefully will soon se me through to the first ascent) on this amazing project bolted by @marti_boncombat at Cova De Ocell near Barcelona. Awesome photo by @giancolafoto @redbull @prana @sterlingrope @walltopia @climbskinspain @petzl_official @metoliusclimbing @alarconjimena @javieralarcon9 good times ahead!!! Can someone tell us why the route name is in French when the route is in Spain? The twitter handle of the person who bolted it is @marti_boncombat. Probably a clue to the name. I think “El Bon Combat” is Catalan. And the route is in Catalonia. The real question is: did he do it with his hands and feet only? Well you said 7 5.15’s, which would include 9a+ as well… Of which there are several. You are correct. I confused myself. I was thinking 5.15b and up. From reading the article around the interview I think this is his 7th 15b in spain that he has established. thats awesome. seems like just the other day i was psyched to watch him get his first 15b. always an inspiration, not just in terms of difficulty, but his routes always look so fun! Leave a Reply to Ri Click here to cancel reply.